Spanning 170 years and two World Wars, through economic booms and market crashes, from the steam boiler to cloud services, Ahlmark’s history covers nearly the entire era of industrialization. Here are a few of our milestones. The 26-year-old Oscar Ferdinand Ahlmark moves to Karlstad. In 1847, he receives permission to operate business in commerce, commission, forwarding and insurance in Karlstad. By taking over an existing business, he gets the premises he needs. The “Salt Square” location (now “Residence Square”) was also advantageous for transports over the Port of Karlstad. O. F. Ahlmark decides to invest in shipping and becomes ship’s husband for the steamer Uddeholm. Ahlmark started operations during an upward swing in shipping, due largely to the construction of the Trollhätte Canal (locks) in 1800 and the Göta Canal in 1832. Ahlmark actively contributes to the construction of the Inner Harbour in 1861 and becomes the first Chairman of the Port of Karlstad Board of Directors. In 1872, two steamers are built on Karlstad Wharf. O. F. Ahlmark dies the following year. To honour his memory, one of the steamers is christened the O F Ahlmark. His nephew, Karl August Ahlmark, takes over the business and runs it along with Gustaf Sjöstedt. The steamships Karlstad and Forshaga are built to meet iron and timber transport needs. Ahlmark manages the companies established to finance the two ships. Gustaf Sjöstedt dies in 1889 and Karl August Ahlmark, now sole owner, changes the name of the company to O. F. Ahlmark & Co Eftr. Karl August Ahlmark dies in 1901 and the business is transferred to August Uppvall, former captain of the Karlstad and the Forshaga. After Uppvall’s death in 1909, the dynamic and visionary Josef Bergendorff joins the company. One of the most important years in Ahlmark’s history is 1916, when the new Trollhätte Canal was inaugurated. The canal enables a direct freight connection with the North Sea for vessels up to 2,000 tonnes deadweight. 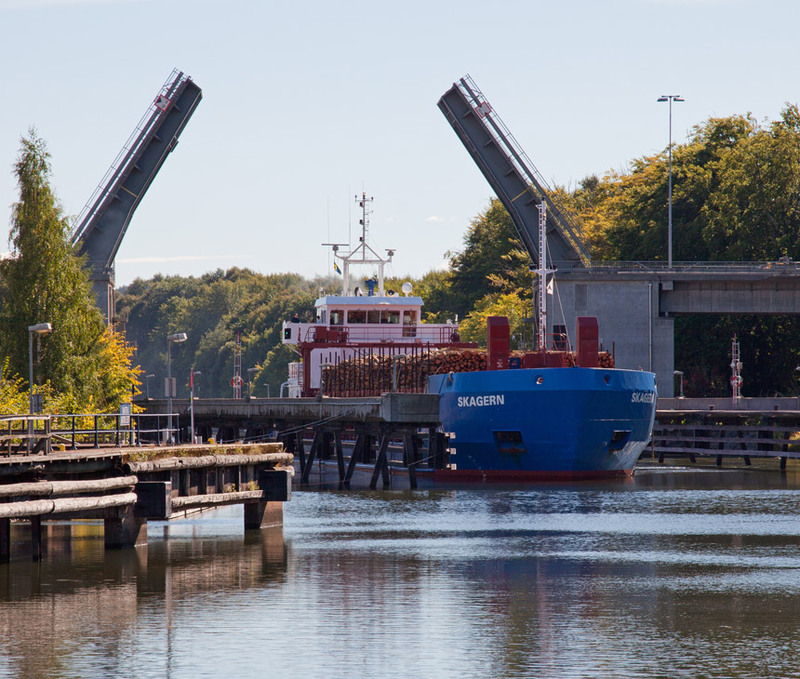 Bergendorff recognizes the importance of the canal for Ahlmark’s future in shipping, and direct imports to the Vänern ports now enable the expansion of the coal division. In 1917, Ahlmark is converted into a limited company and the companies that owned the canal steamers Karlstad and Forshaga are merged into the Ångfartygs Aktiebolag Karlstad company. This year also marked the construction of the Karlstad Shipyard on the 1.5-hectare new development on Kanikenäset. The first steps are now taken toward more liner-oriented service and shipping company Stjärnan is formed by a number of stakeholders. A branch office is also opened in Kristinehamn. In 1918, Ångfartygs Aktiebolag Karlstad changes name to Värmlands Rederiaktiebolag, with Josef Bergendorff as ship’s husband. Bergendorff dies in 1920, but under his leadership, the company has gained a solid foundation for future expansion. The company is now bought by Bror Pettersson and Gustaf Hemmingson. 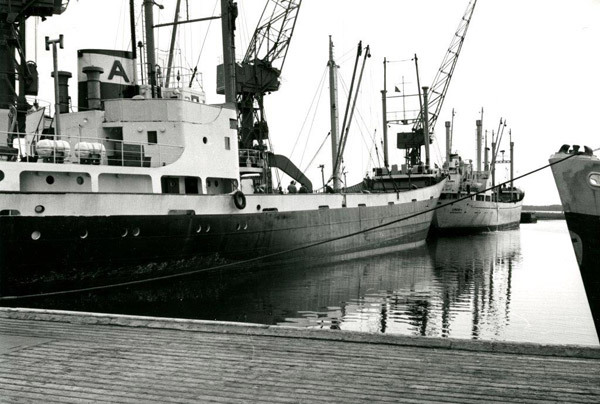 Ahlmark establishes itself as a shipowner by purchasing between 1929 and 1939 a fleet of North Sea-going vessels: the Gapern, the Alstern, the Visten, the Saxen, the Mangen and the Foxen. In 1921, all of the Stjärnan vessels operate freight service between Vänern and England, Germany, the Netherlands, Belgium and France. Imports are increasing, and large storage facilities for coal and coke, as well as crossing and separation facilities, are erected in Karlstad and Kristinehamn. The distribution system to industry and distributors in the Vänern region is expanded. Rederi AB Stjärnan passes into Ahlmark’s possession. 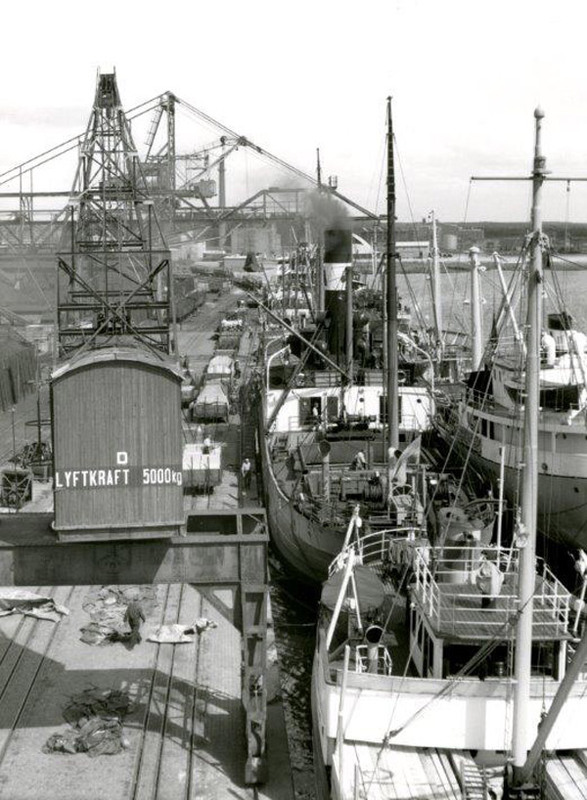 Fifteen ships with a total deadweight of 20,000 tonnes makes Ahlmark one of the most important shipping companies in Sweden by the end of the 1930s. The German occupation of Norway in 1940 blocks the path to the west. Transport over the North Sea is dangerous and Ahlmark loses 28 men as well as the Foxen, Mangen, Aspen and Gapern. Supplies of coal and coke are scarce and Ahlmark plays a significant role in the supply and distribution of substitute fuels, including firewood. In 1945, Ahlmark replenishes its fleet with vessels such as the Aspen II, which becomes the company’s first shelter-deck vessel. New shipping legislation comes into force, dramatically increasing crew costs. It also becomes more difficult to operate vessels under the Swedish flag. The increased costs are absorbed to some extent through the investment in so-called “paragraph boats”. The special construction of these vessels reduces dimensions, thereby easing staffing regulations. The company’s coal division continues to perform well. The independent companies Karlstads Kolimport, Bränsleaffären and Värmlands Kol och Koks sell primarily to properties and 150 distributors focus on households. The distribution facilities for coal and coke in Karlstad and Kristinehamn are modernized. 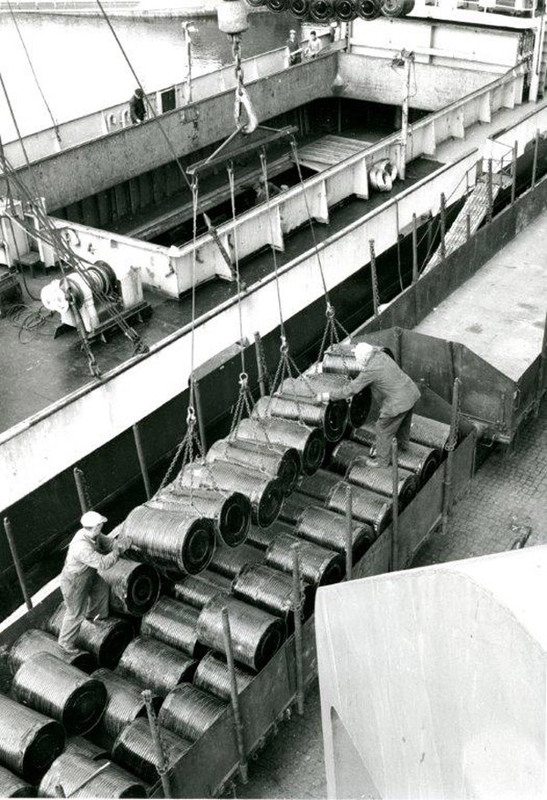 In 1950, Ahlmark enters a partnership with Stora Kopparberg’s and Transatlantic’s oil company Koppartrans for the distribution of oil, diesel and petrol. The steamers Karlstad and Forshaga are decommissioned in 1955 and an interesting epoch is at an end. For a number of years, Ahlmark has had offices at several locations in Karlstad. To concentrate operations, a seven-storey commercial building is constructed in the Tapiren quarter of central Karlstad. The building is later supplemented with Karlstad’s first parking garage. Ahlmark–Koppartrans changes name in 1963 to Ahlmarks Bränsle AB. The company retains its strong local position in the 1960s and 70s. Oil depots are built in Karlstad, Kristinehamn and Åmål. Offices and distribution centres are later added in Örebro and Göteborg. 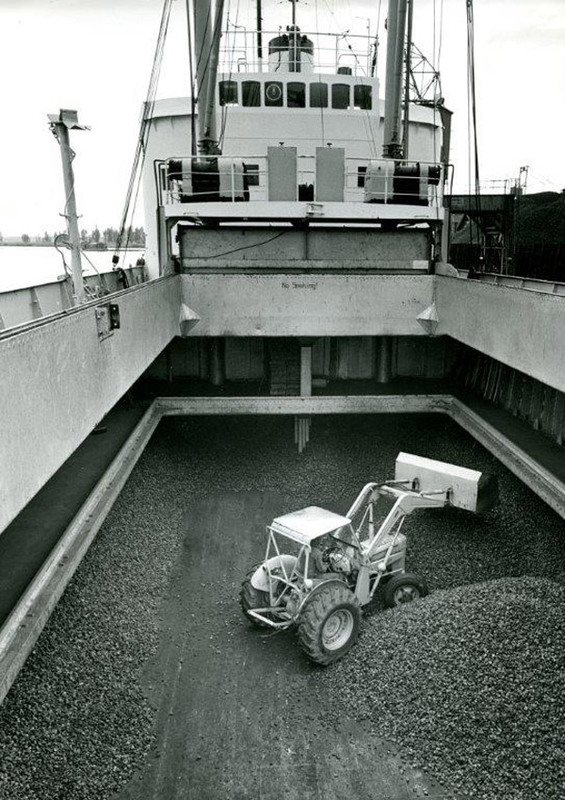 In 1966, a cargo dock is added to the outer harbour, largely due to efforts on the part of Ahlmark. Ahlmark’s first fully open vessels for vertical cargo handling, the Alstern and the Gapern, are delivered from a Norwegian shipyard. For the first time, the crew is adapted to the ship’s equipment instead of the registered tonnage, resulting in a crew of 10 instead of 16. With these vessels, Ahlmark becomes a pioneer in Swedish shipping. In 1975, Ahlmark acquired AB Byggbeslag, a company active in the locks and architectural hardware industry. The company performed well under the direction of Ahlmark and reached the market-leading position it still holds today. 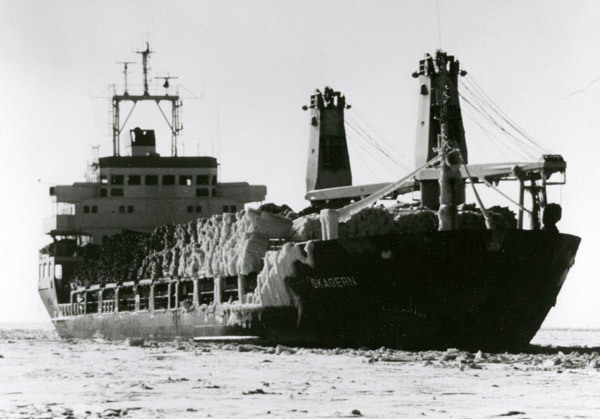 Liner service from the Norrland coast was started in 1976-1977 and the new ship Visten was delivered. In 1981, investment company Wermia AB was formed, with Ahlmarks as one of the stakeholders. The m/s Barken was purchased in 1982. 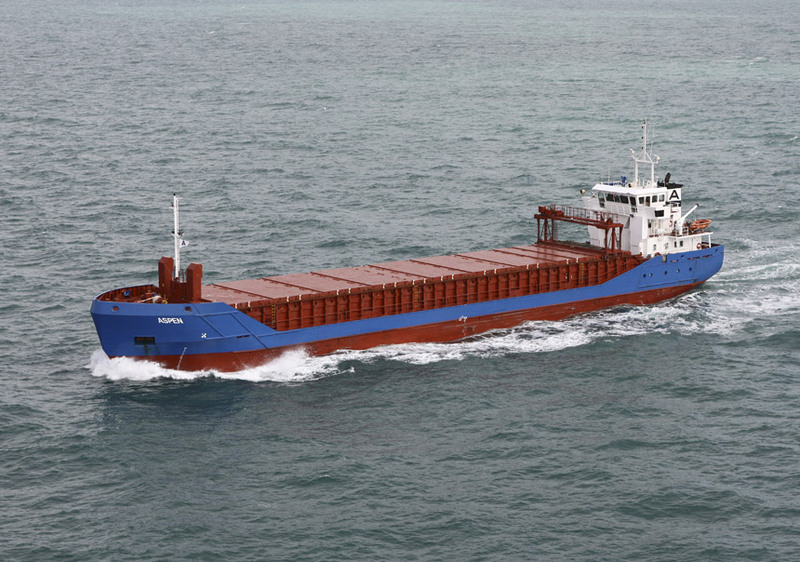 With its 10,000 deadweight tonnage, it becomes the company’s largest vessel. The shipping company continues to expand outside Lake Vänern. 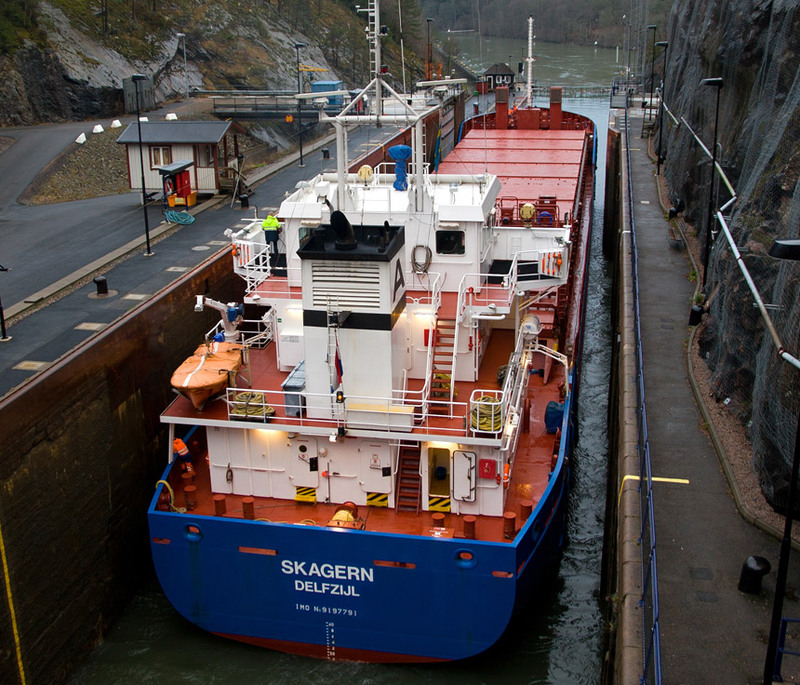 Two 6,000-tonne ships, the Skagern and the Sommen, are delivered for Norrland service. Two new vessels, the Undenand the Mangen, enter service on Lake Vänern, offering powerful machinery and a good ability to push through ice. In 1987, Wermia AB steps in as co-owner of Byggbeslag/Landol. The strong global economy leads to gradual improvements on the shipping market. The Alstern and the Noren, sister vessels to the Skagern and the Sommen, are purchased in 1988 and 1989. This is part of Ahlmark’s quest to build up a first-class proprietary fleet for Norrland service. O.F. Ahlmarks’ operations now comprise shipping, property management and fuel. By the spring of 1991, Ahlmarks’ ownership in Wermia AB has increased to over 50%. The other owners sell to Ahlmarks, so Wermia becomes a wholly owned subsidiary of Ahlmark. Ahlmarks develops a new transport concept for Norrland service. In 1991, a number of specially designed vessels are purchased from Germany for this traffic. The merger of the German states and the resulting economic turmoil prevents the German shipyard from fulfilling its commitments. Heavy investments in 1992 mean hefty interest charges. To ease this burden of debt, Ahlmarks Bränsle is sold to Swedish Shell. Earnings improve significantly in 1993. One contributing factor is the settlement with the German shipyard, which provides substantial compensation to the shipping company. Operations continue to go very well. Wernia’s performance increasingly improves and this positive development continues in 1994 for all companies. The shipping company has its best results ever, and this also applies to the Group as a whole. During the year, Kristinehamns Terminal AB and Karlstads Stuveri AB are transferred to the newly formed Vänerhamn AB. Ahlmarks becomes the largest shareholder, with approximately 27% of holdings. 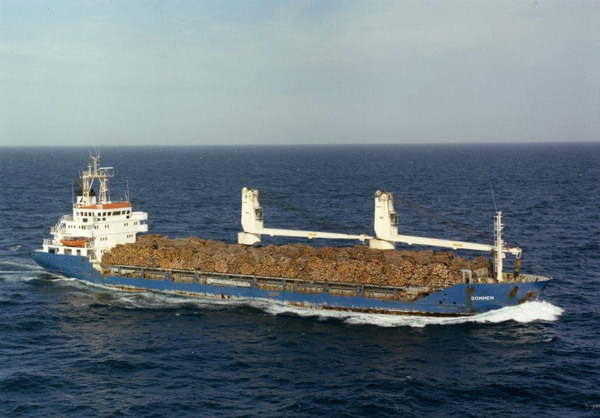 In 1996, Ahlmarks acquires three combination carriers, the Fryken, the Saxen and the Visten, which are unique in that they can carry forest products in one direction and oil on the return voyage. The Group continues to expand organically as well as through acquisitions in its existing business areas. Under the agreement between the Swedish government and Vänern stakeholders, associated company Vänerhamn AB is sold to the municipalities. Group structure is gradually streamlined and a consolidation yields positive results on the balance sheet. The Group now has SEK 3 billion in annual revenue and employs over 1,500 people in eight countries. The foundation is laid for continued expansion with good prospects for the future.